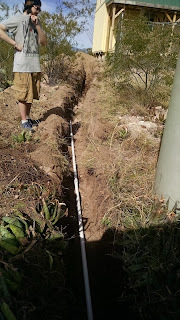 Trench dug, conduit in, trench filled. Progress! Sounds easy and simple. Day 1- bought pvc pipe, rented mini-excavator, trench was dug in under 15 minutes by the guy who rents the machines, ends of trench were hand dug by me and my nephew, pipe was glued, picture was sent to electrician, electrician said "wrong pipe". Oh boy. I've spent hours in the plumbing aisle and no time in the electrical aisle. I won't forget this lesson, ever. 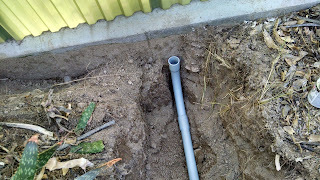 Day 2- bought correct pipe. Grey pipe = good. 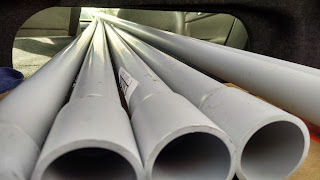 Found out 10' pipe does fit in my mother's car. 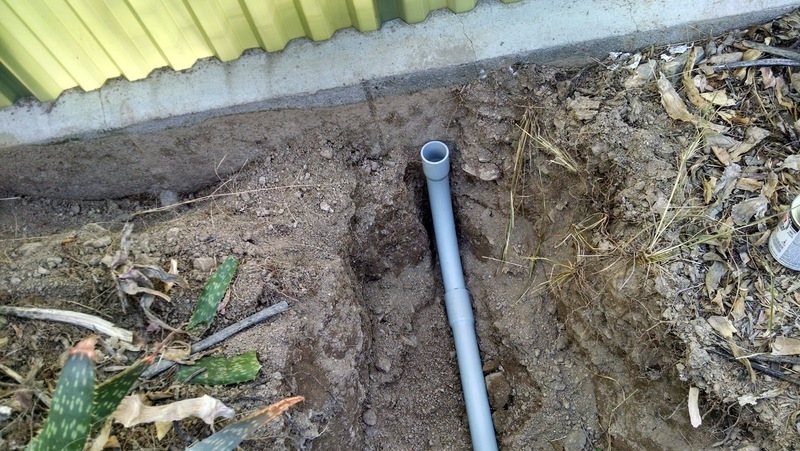 Replaced pipe in trench. Spent the rest of the day moving the stuff in the barn-shed to the center so the electrician has room to work but I really need to move most of it to the mobile home. Whew, done for now. Waiting for the electrician to run the wires. 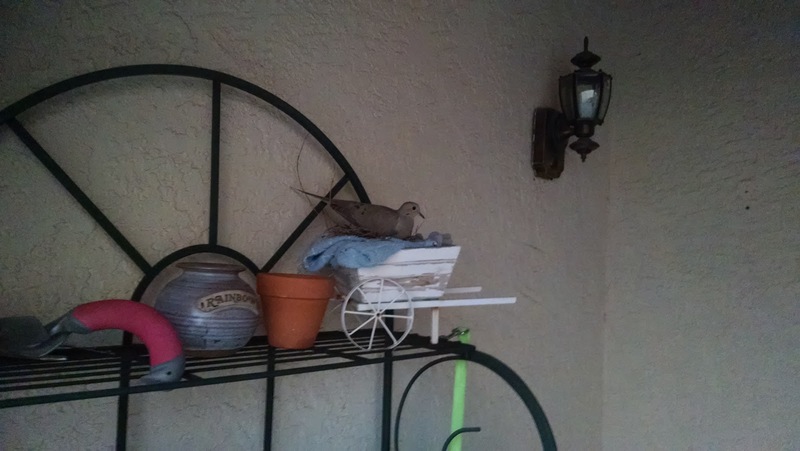 Came home to this dove nesting by my front door. I hope she doesn't mind a gaggle of dogs going in and out of the door everyday. 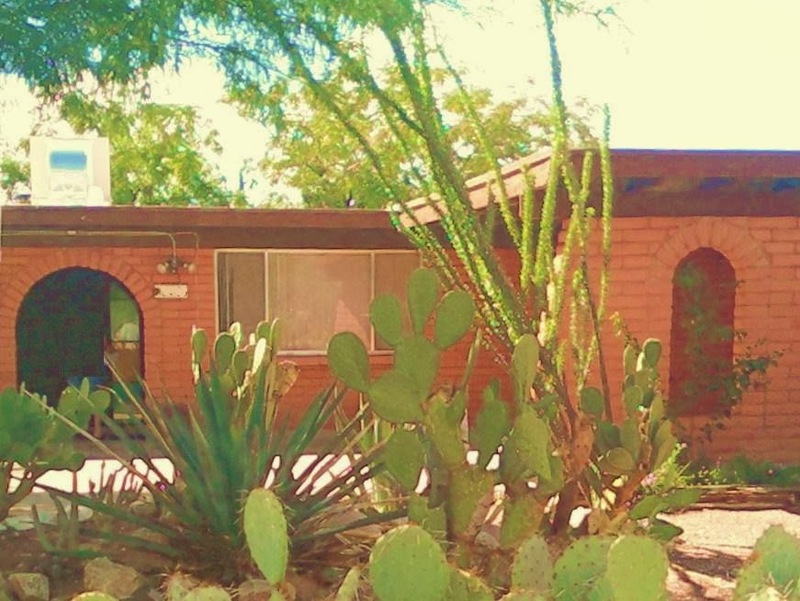 Next thing: Work on taxes and sort through stuff for the community garage sale at the end of the month. I'm running out of March already. Ah,so nice to have an update. Good to see you here again, Daizy. This is hardly the first time you have tried to do something new and it didn't go quite right the first time. You are good at learning from your mistakes, for sure. And you will learn from this one. @philo, glad you are still reading. @Dave, I won't forget this lesson for sure! It cost me over $50 and another day out of my weekend.